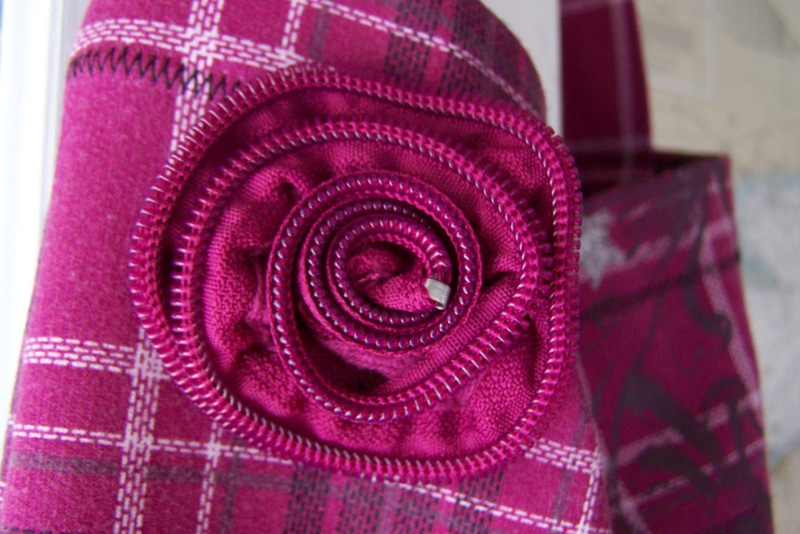 Shop Update – Do You Need Fabric Scraps? I don’t have specific items that I am adding to the shop this week. I have been busy preparing items for a craft show that I am doing with Annie. I’ve made a batch of stadium seat cushions. 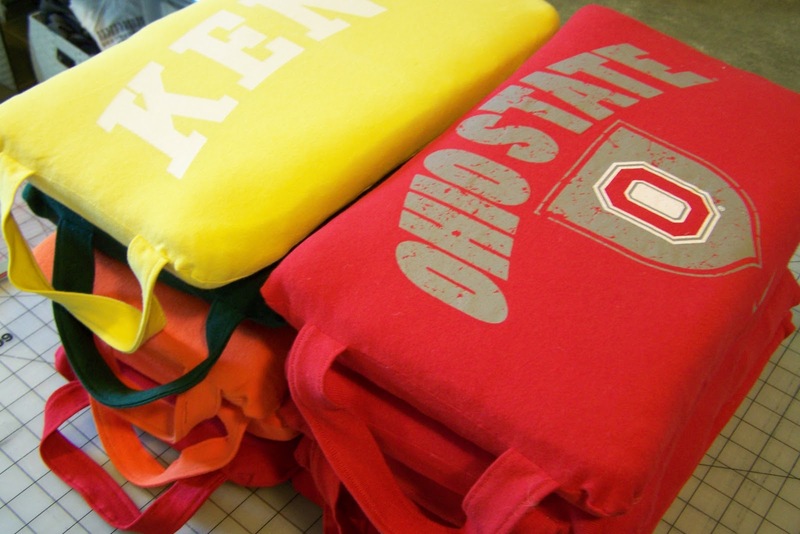 I’m also making sweatshirt totes. The following is one of Annie’s zippered sweatshirts. It was in the giveaway pile because I didn’t think I could make a tote from a zip-up hoodie. But I salvaged the zipper and sewed a seam where the zipper was. I was really excited to try my hand at a zipper coil flower! I’ve made several now and find it completely satisfying to make. Because I love to upcycle and recycle when I can (it’s been a large part of my inspiration the past few years) I would like to find a home for the scraps that come from my studio. 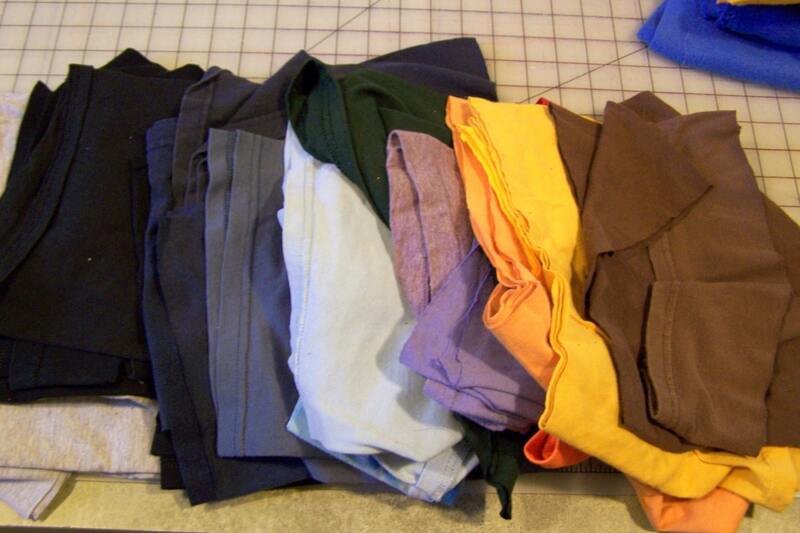 I produce a lot of T shirt and polar fleece scraps. The T shirts could easily be used to make the T Shirt necklaces that are all the rage. You can see all my destash listings here. I am mostly interested in finding a use for these scraps. I also have produced more since the time of those photos. Feel free to contact me about combining the fabrics or exploring other shipping options. Wishing you a great weekend! We’ve had mild temperatures this week, which is good since I’m off to another football game. Our high school team is in the playoffs – Annie is in the band and her cousin is on the team, so football keeps going on and on! That zipper flower is beautiful! It adds such a fanciful touch to the bag ! 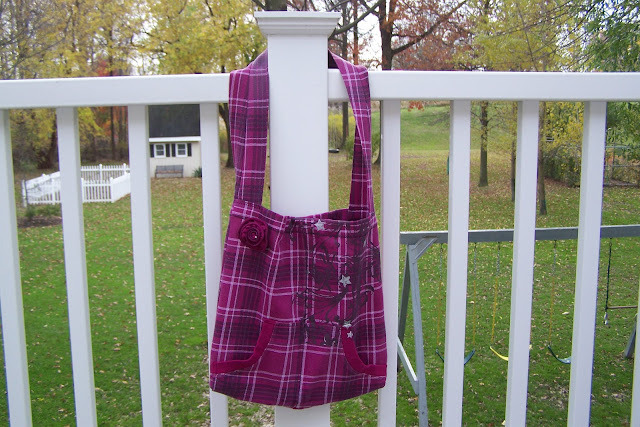 That zip up bag is amazing- That flower is not only brilliant but the perfect finish for the bag. Love the coil flower, Jane. The bag looks great and so do the stadium cushions.